Mouse anti Cat IgG antibody, clone GPB2-2B1 recognizes feline IgG and can bind to virus-bound immune IgG.  Mouse anti Cat IgG antibody, clone GPB2-2B1 can therefore detect anti-FeLV, FIV, FCV, FHV, FCoV/FIPV and FPV IgG activity in ELISA. Mouse anti Cat IgG antibody, clone GPB2-2B1 does not recognise feline IgA or IgM. MCA2651 detects a band of approximately 50.0kDa on purified feline IgG under reducing conditions. Grant, C.K. et al. (1995) Purification and characterization of feline IgM and IgA isotypes and three subclasses of IgG. In: Feline Immunology and Immunodeficiency. Eds Willett, B.J. and Jarrett, O. OUP pp 95-107.